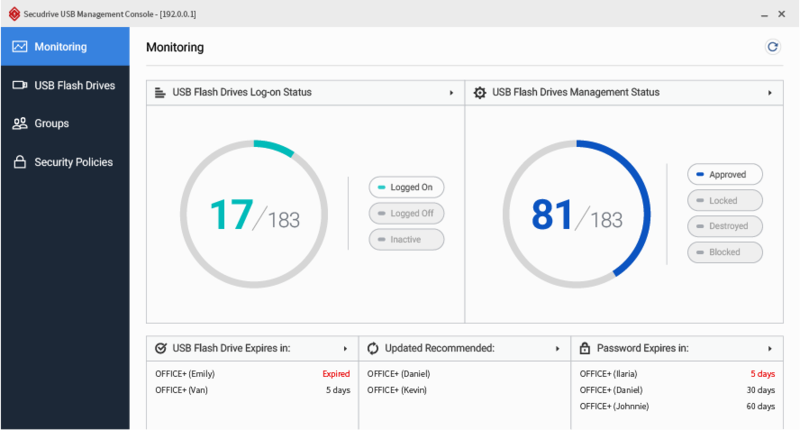 Secudrive USB drives provide reliable data security on-the-go, with hardware-based AES 256-bit data encryption, remote management, and Trend Micro USB Security™. The Office and CAD Series exclusively provide the remote management and copy-protection features, working hand in hand with Secudrive USB Management Software. Integrated powerful and confident security to convenient features of USB drives. With Basic, Office, and CAD versions, secured USB drives can serve wide range of usage from personal to enterprise. USB drives are both software and hardware encrypted, providing multi-level security against data leaks. Can be managed and monitored remotely from management console.